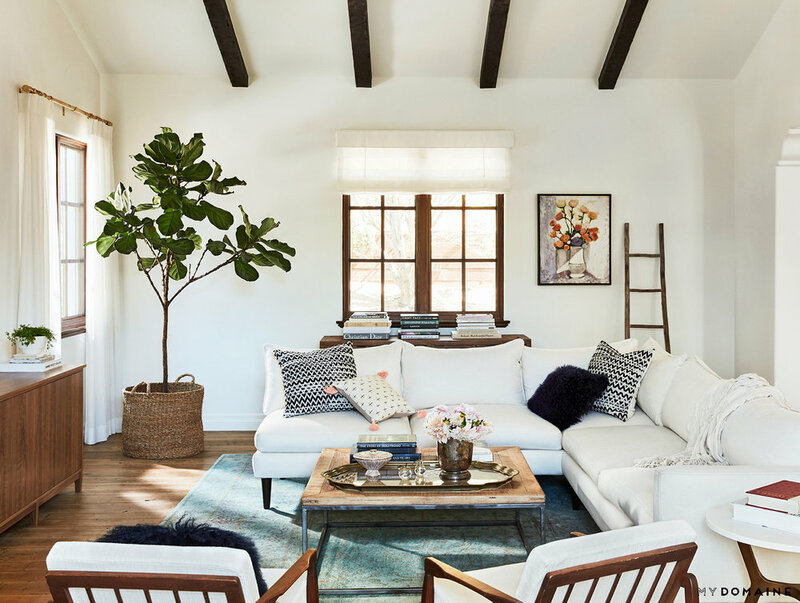 Naturally, the born-and-raised California girl’s home is a master class in swoon-worthy, texture-rich bohemia, with that timeless glamor we’ve all come to know and love from her. 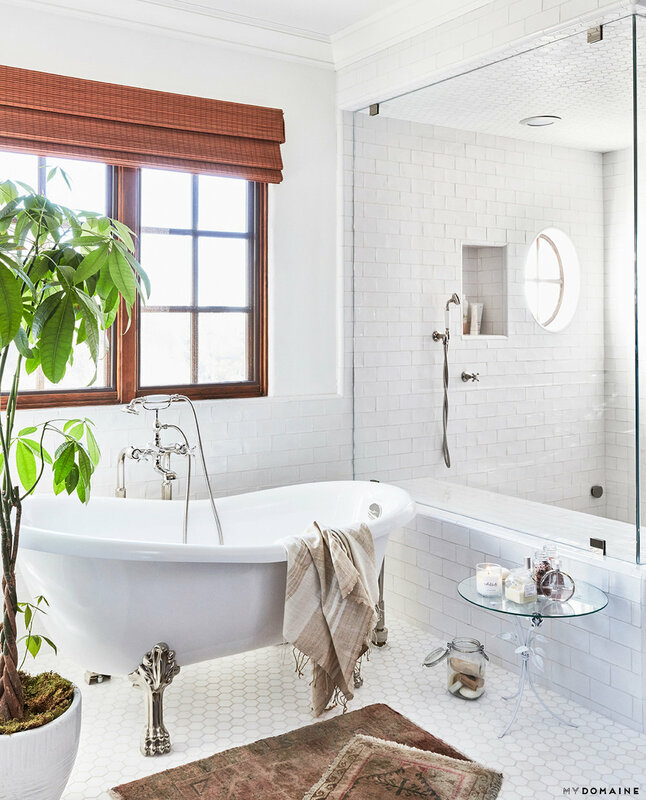 In collaboration with interior designer Katherine Carter, Conrad struck a stylish balance between her West Coast sensibility and that traditional, almost colonial aesthetic for a clean and polished look with major Cali-cool vibes. A Martha Stewart of the millennial generation, Conrad had to have a stylish yet practical space to entertain (and bake!). So as soon as she moved in, she completely redid the kitchen, which included repainting the cabinets, adding white subway tile, and installing Mystery White marble countertops. “Mystery White is much more stain-resistant stone than Carrera, and I’m a hurricane in the kitchen, so it’s a must,“ she said. Since this place is different from their last in both scale and style, most of the couple’s furniture was purchased recently, except for one. “One of my favorite pieces is my brass-and-glass coffee table that I’ve dragged through several homes now,” she said. The designer utilizes this space to display all of her favorite coffee table books and crystals.